Sunday Morning: Rogue DIY Easter Egg Hunt for the Kiddies in Holly Park!! 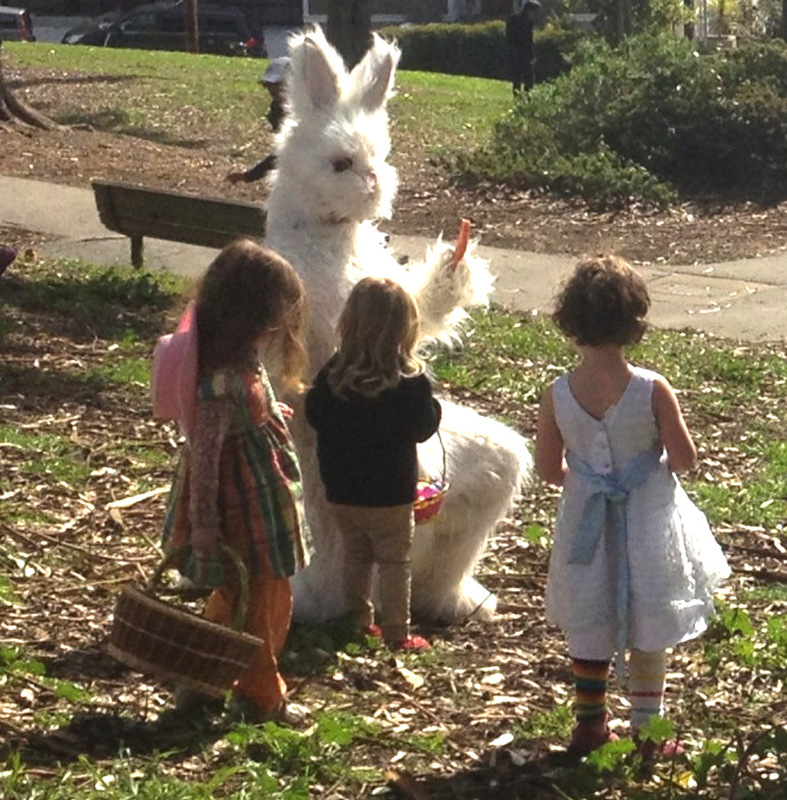 The Easter Bunny is coming to Bernal Heights. Hiders (parents) come hide eggs at 9 am. The kids come later and the hunt begins in a big frenzy at exactly 10 am. Kids meet to begin the hunt at the top of the hill near the baseball field. It’s super-fun and I don’t think anyone really organizes it. We just all show up and do it. I plan to show up this year and I’m guessing I won’t be alone. A crucial component: Each parent should plan to hide exactly as many eggs as you allow your child(ren) to collect. That way, no children come and leave with nothing. We usually show up with one or two dozen and then, after my daughter has found that many, she can either stop or do a find-and-replace game, where she re-hides the same number that she finds.